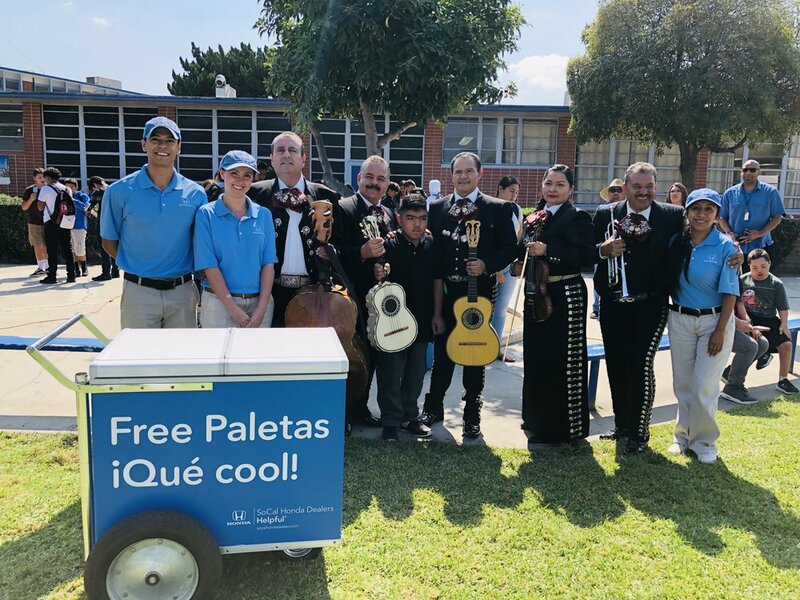 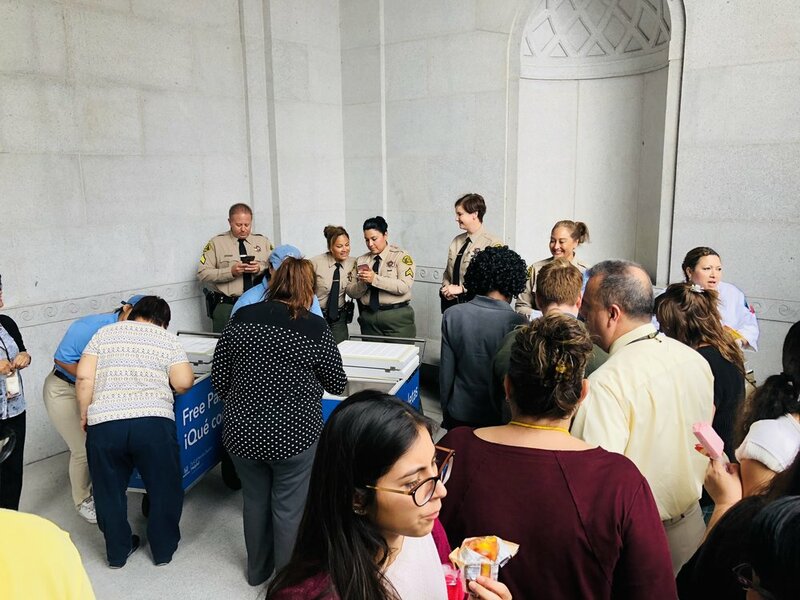 Once again, we had the privilege of teaming up with SoCal Honda Dealers and the Random Act of Helpfulness crew and provided branded ice cream carts and ice cream to help throw an ice cream party 🍦, complete with Mariachi 🎶🎤🎺🎻 for a very awesome young man, and his friends. 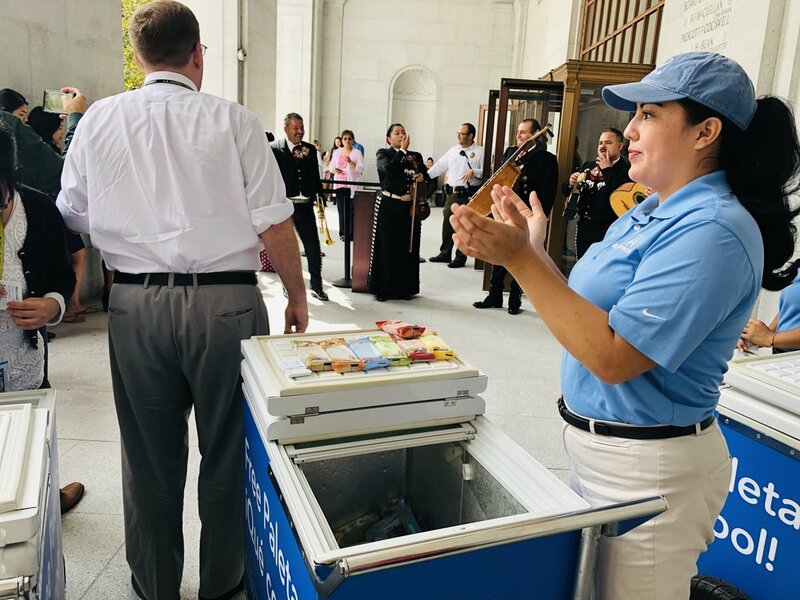 He's a special needs child and his passion is music 🎶. 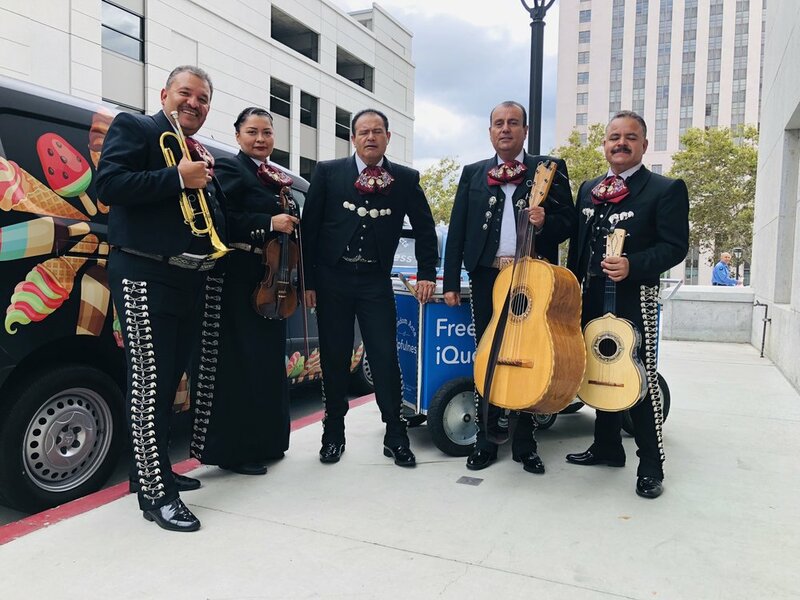 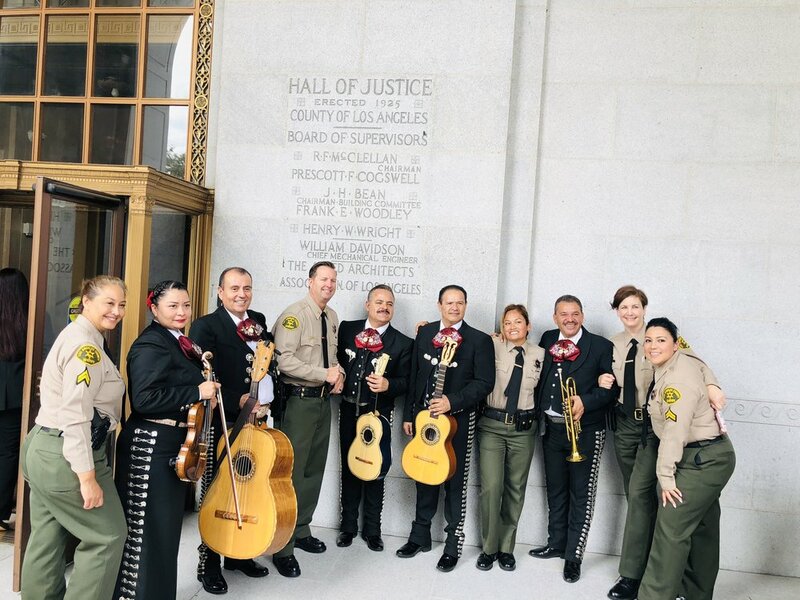 He loves listening to all kinds, anything from Classical to Mariachi, but according to a very lovely lady, his Mom Monica, "Mariachi is # 1" in his heart". 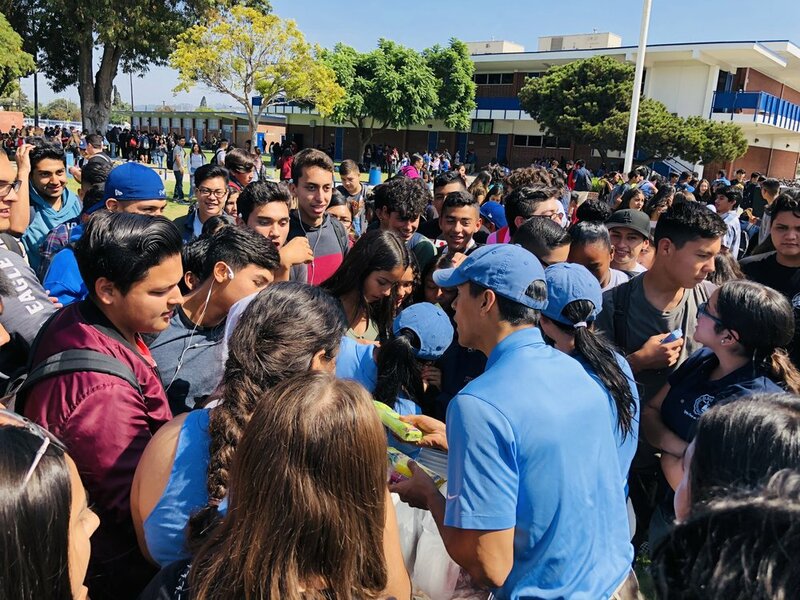 Jordan loves school, his friends, and traveling. 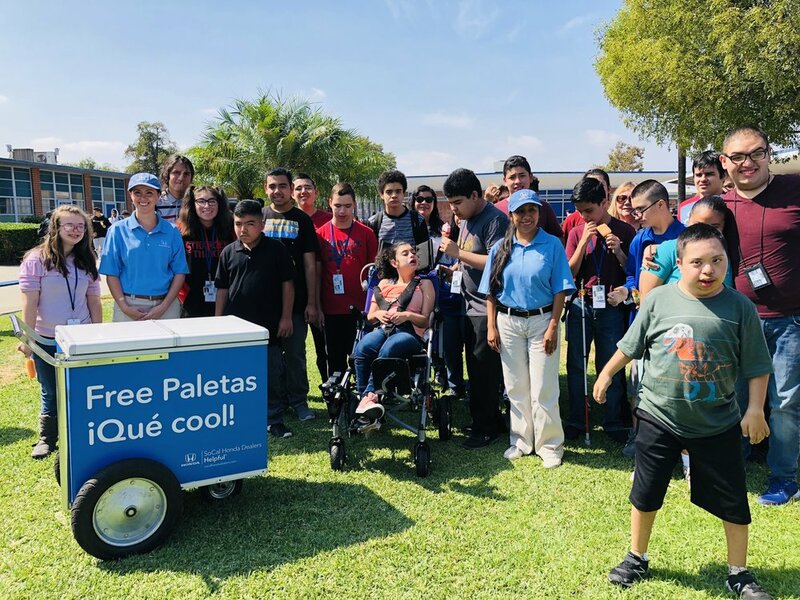 Even though Jordan has to work twice as hard in school to keep up with his peers, nothing stops him! 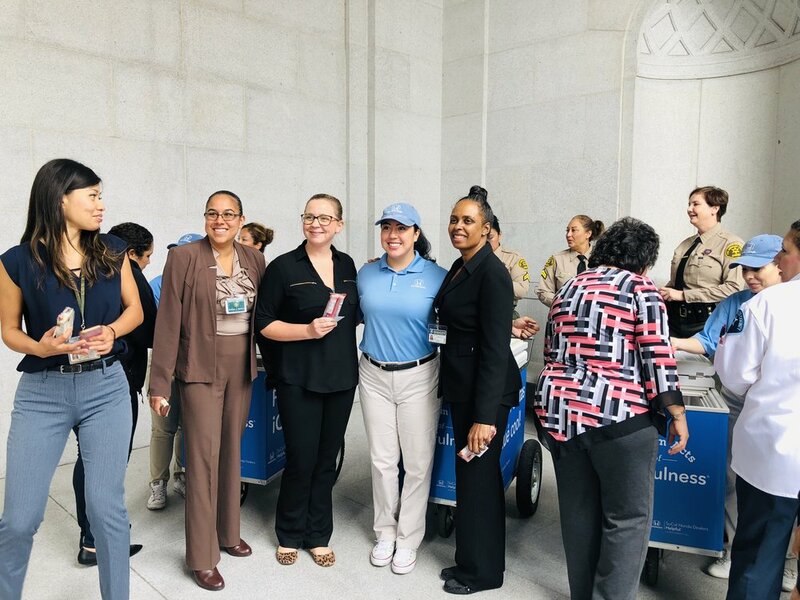 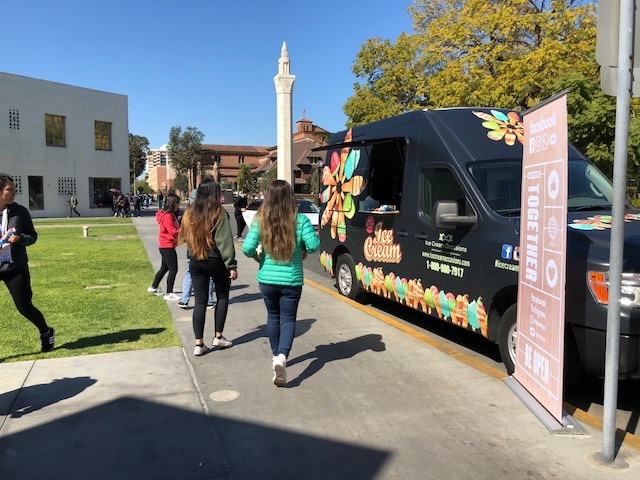 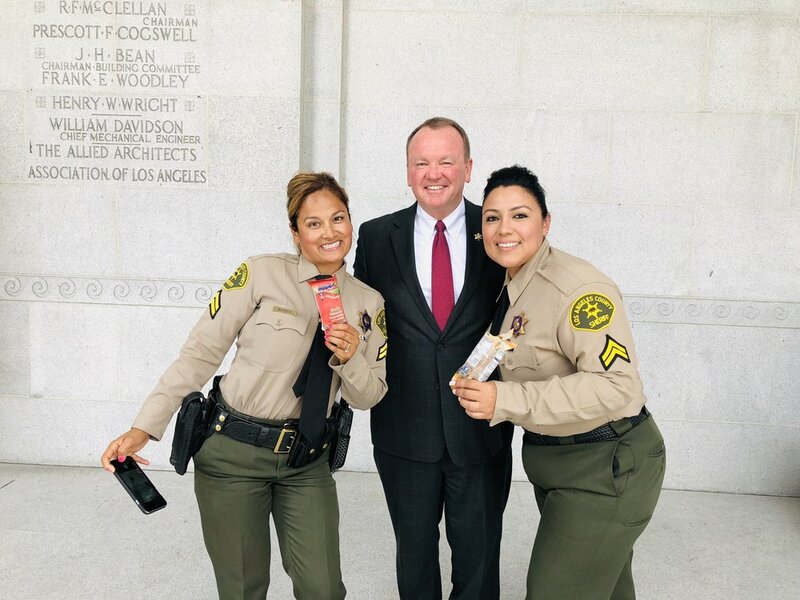 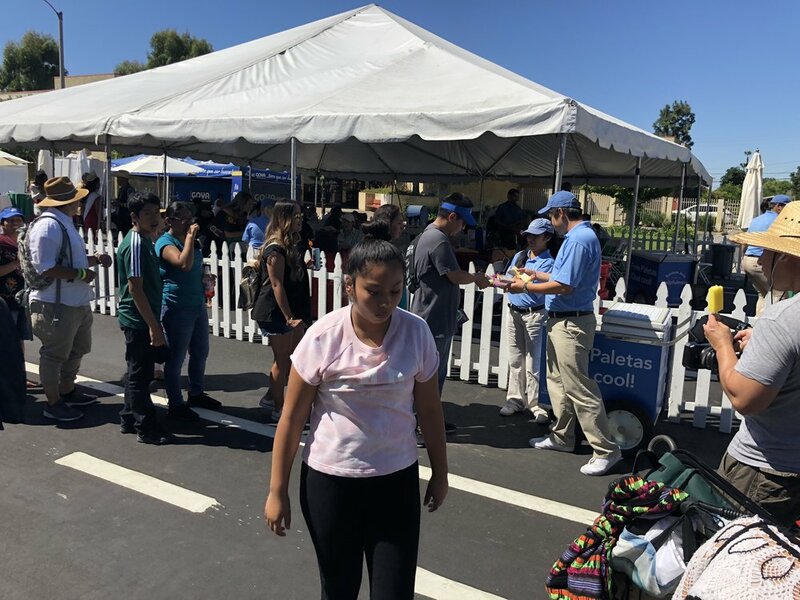 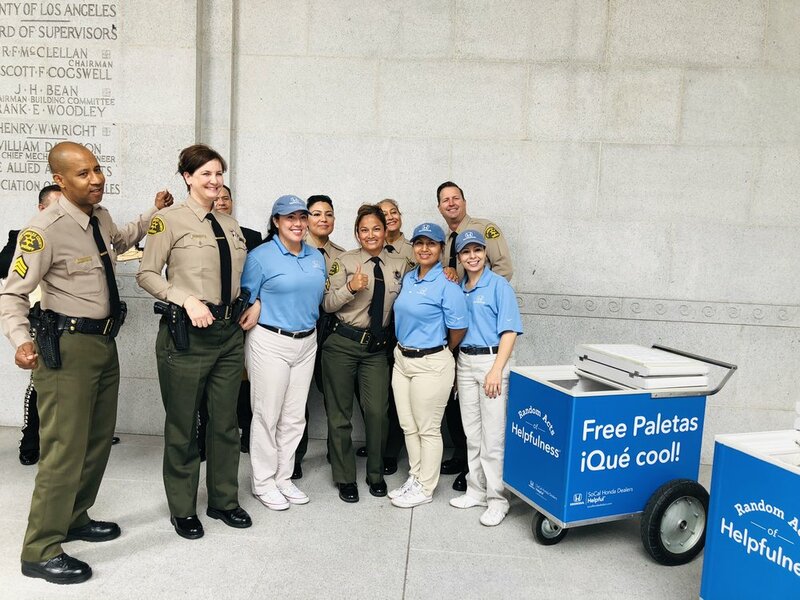 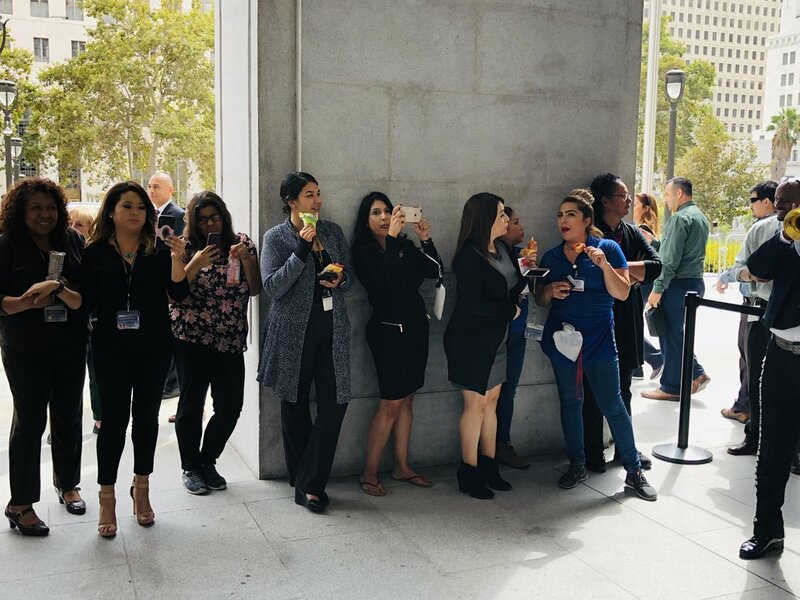 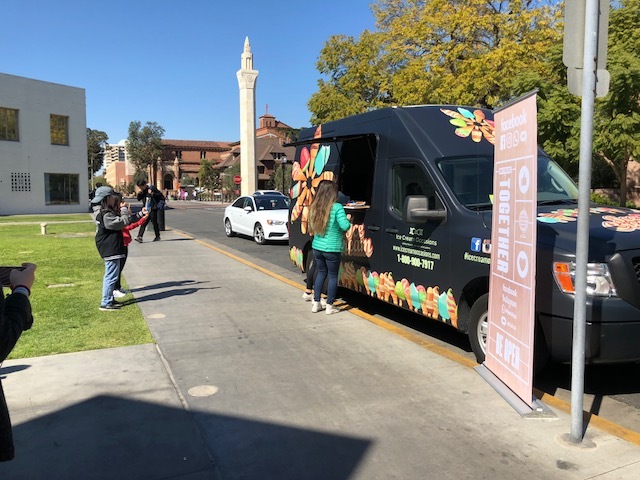 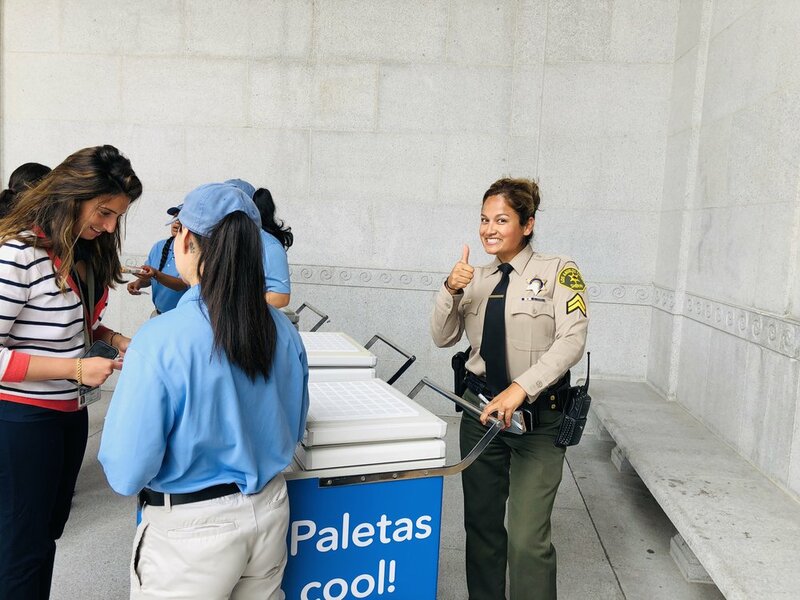 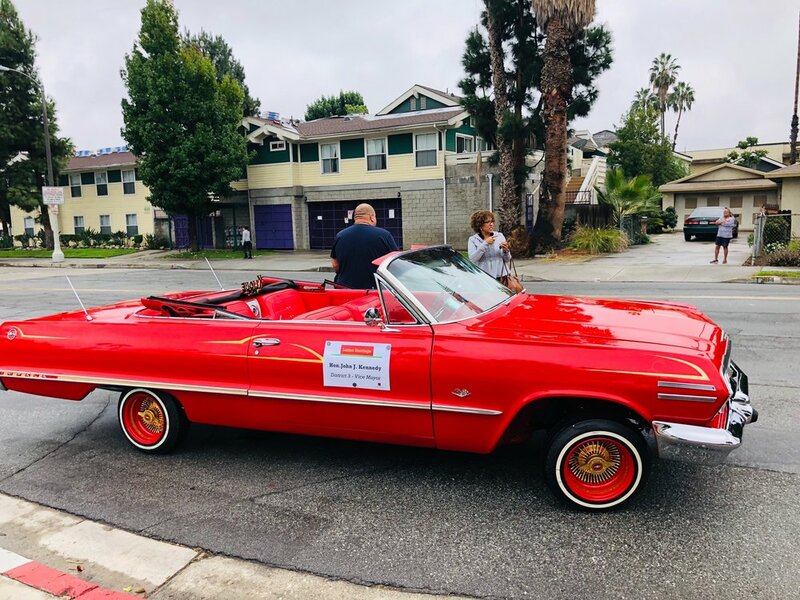 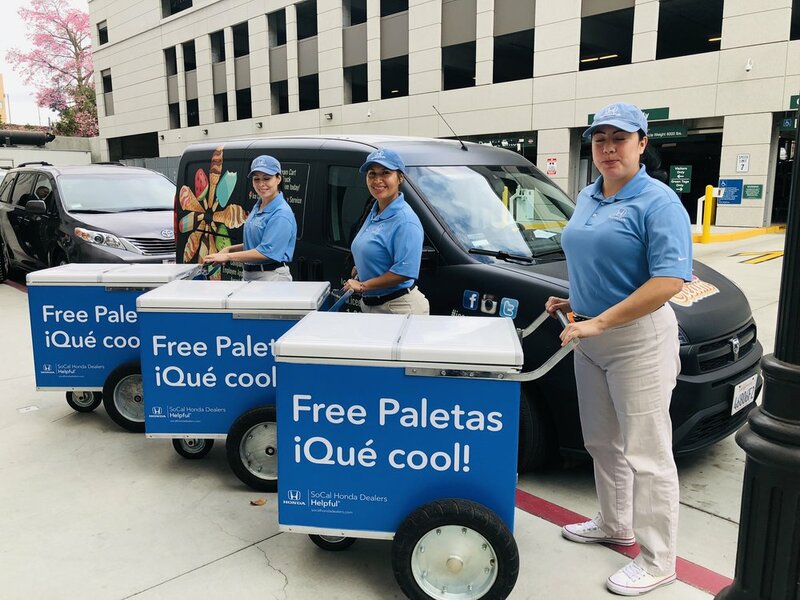 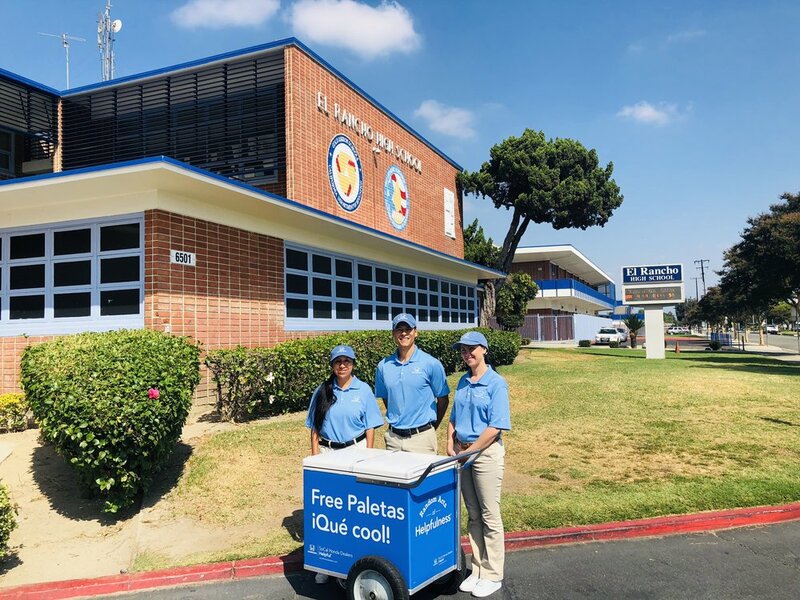 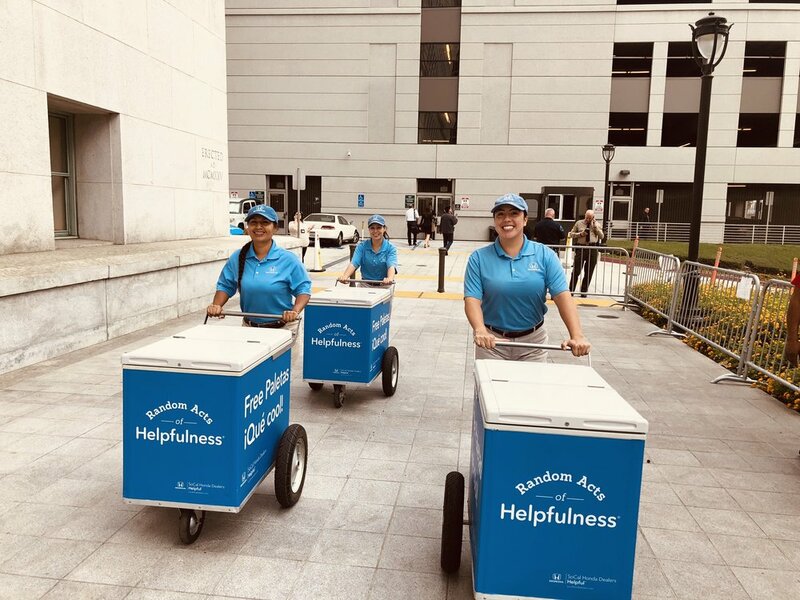 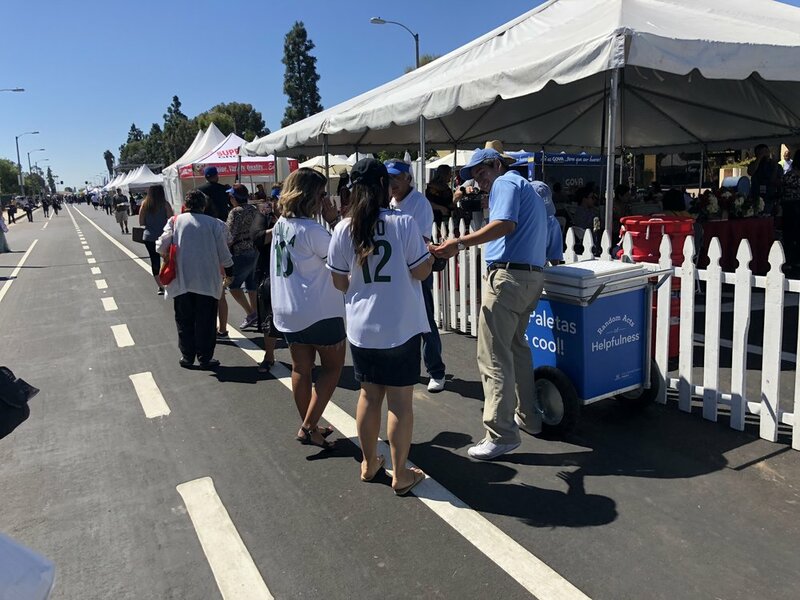 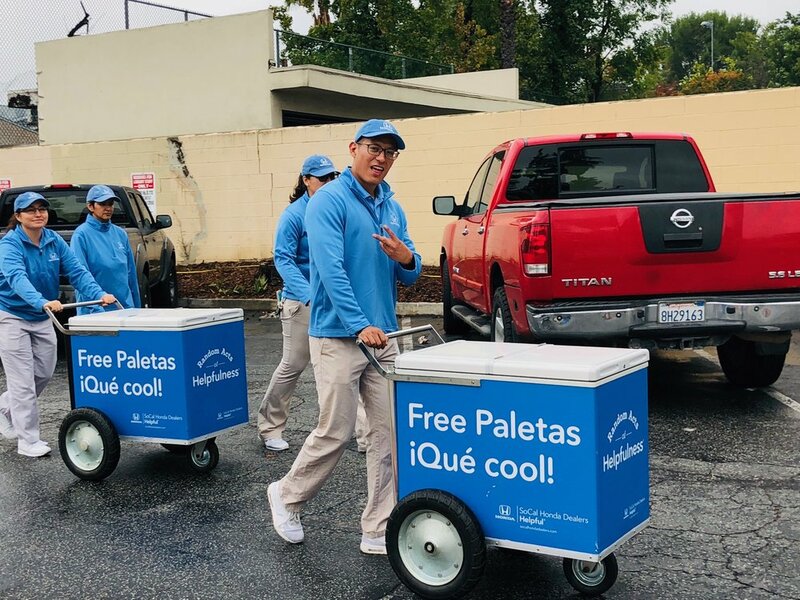 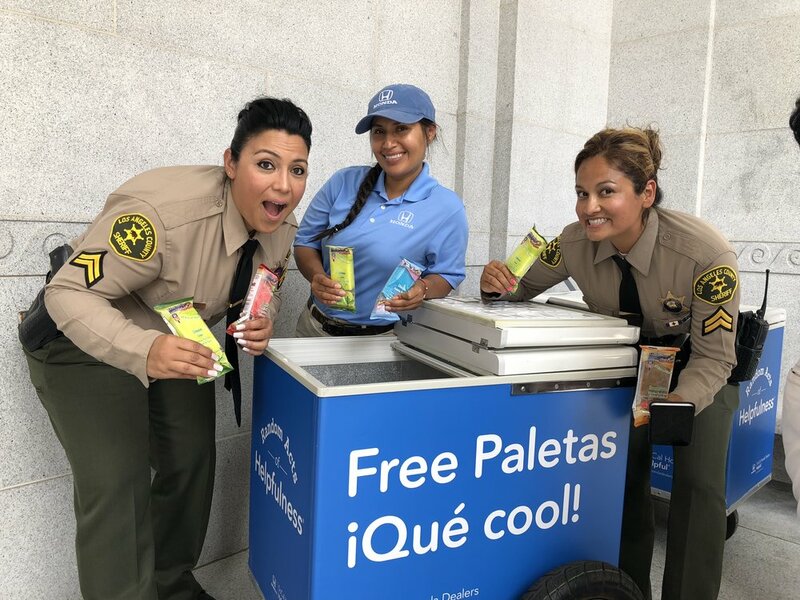 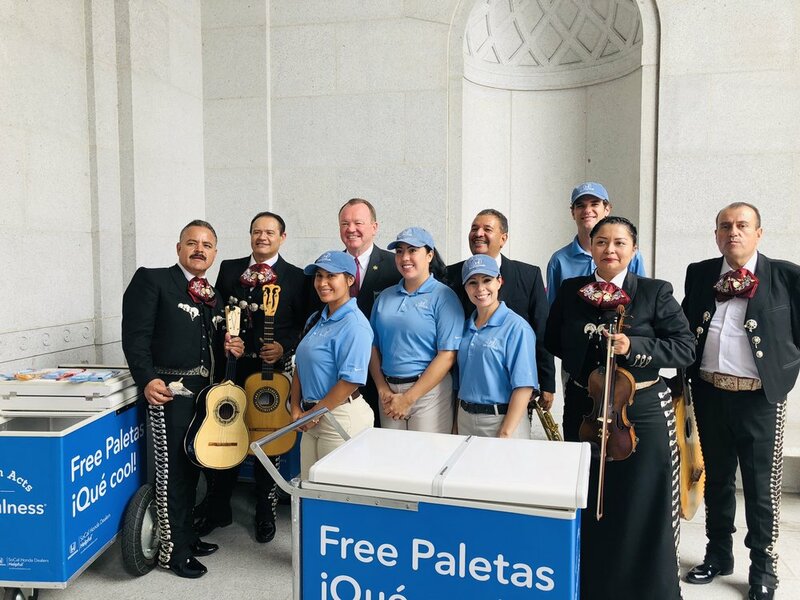 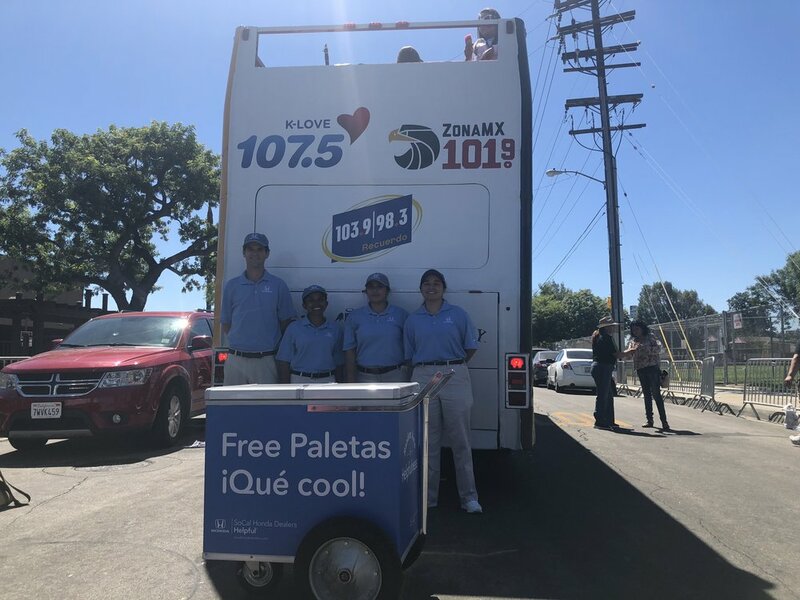 Once again we proudly teamed up with SoCal Honda Dealers to bring Free Paletas to the attendees of one of the largest Mexican Idependence Day Parades anywhere. 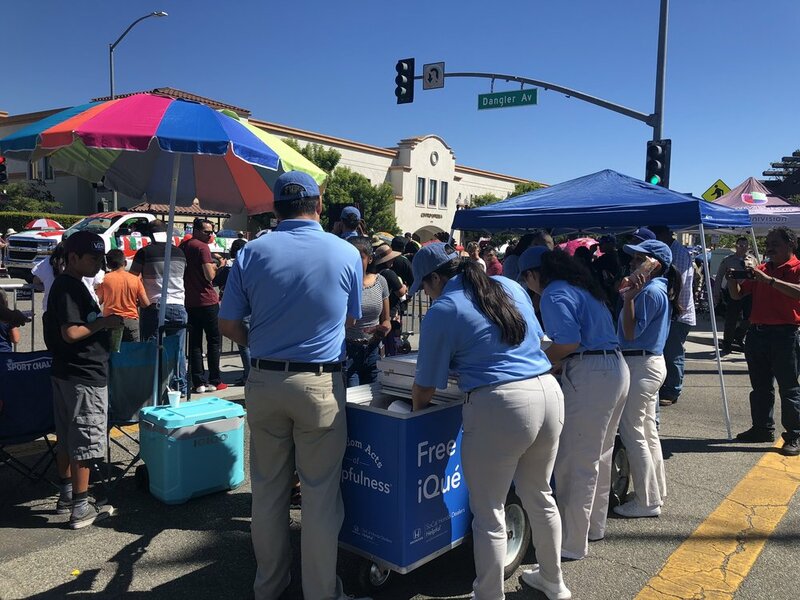 The festivities began at 10 a.m. Sunday with a parade at the corner of Cesar Chavez and Mednik avenues. 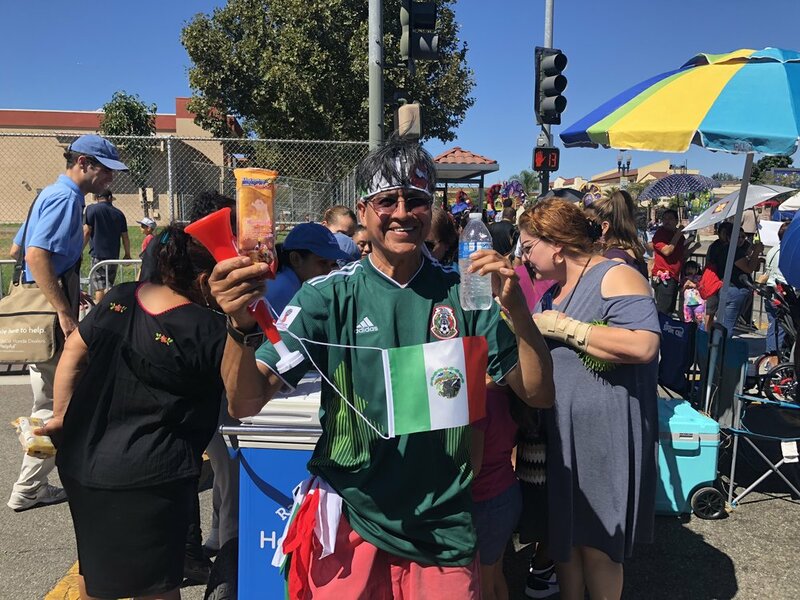 Actor Armando Silvestre was the grand marshal.